MOSCOW (Sputnik) — UN Security Council must send to North Korea its signal of disapproval over provocative actions, but the country's population should not be affected by possible sanctions against the country, Russia's UN envoy Vitaly Churkin said. Over the weekend, North Korea fired a long-range rocket to allegedly place a satellite into orbit, with the rocket being nearly identical to those used by North Korea to deliver nuclear weapons. Meanwhile, there is a UN Security Council resolution that bans Pyongyang from launching rockets that could be used as ballistic missiles to carry nuclear warheads. The United States, Japan and South Korea strongly condemned the launch. ​"The task of the international community is the denuclearization of the Korean Peninsula. Currently, North Korea went in for provocative actions — it began with a nuclear bomb test, and then tested a ballistic missile, although this is prohibited by the Security Council and the question of a sanction resolution arises," Churkin told the Russian Zvezda television channel. Russia's permanent representative to the UN also said that the Security Council should find a balance "so that a disapproval signal from the UNSC is sent, but common people in North Korea are not affected by this signal." 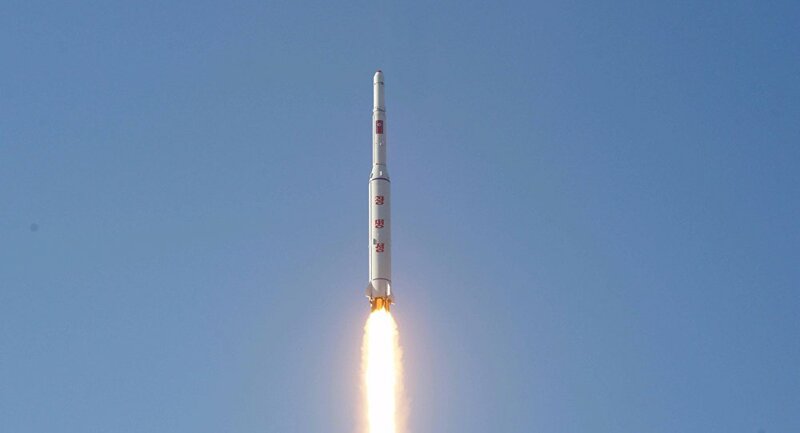 According to Tokyo, after the launch, the first part of the North Korean rocket fell into an area of the Yellow Sea west of the Korean Peninsula, another two pieces — in the East China Sea, the forth and fifth went over Japan's Okinawa prefecture, later falling in the Pacific Ocean. US President Barack Obama announced that Washington was consulting with Seoul on the possibility to expand missile defenses in the Pacific region to counter any potential strike from North Korea. In early January, an earthquake was felt all across the Korean Peninsula, prompting Seoul's suspicions that Pyongyang had performed another nuclear test. Just hours later, North Korea said that it had tested a hydrogen bomb, and that it was successful. In 2005, North Korea declared itself a nuclear power. So far, it has conducted four underground nuclear weapon tests — in 2006, 2009, 2013 and 2016, raising concerns of both the neighboring states and the international community, and prompting the UN Security Council to consider sanctions against Pyongyang.